Painting Hilltop House, a Work in Progress! 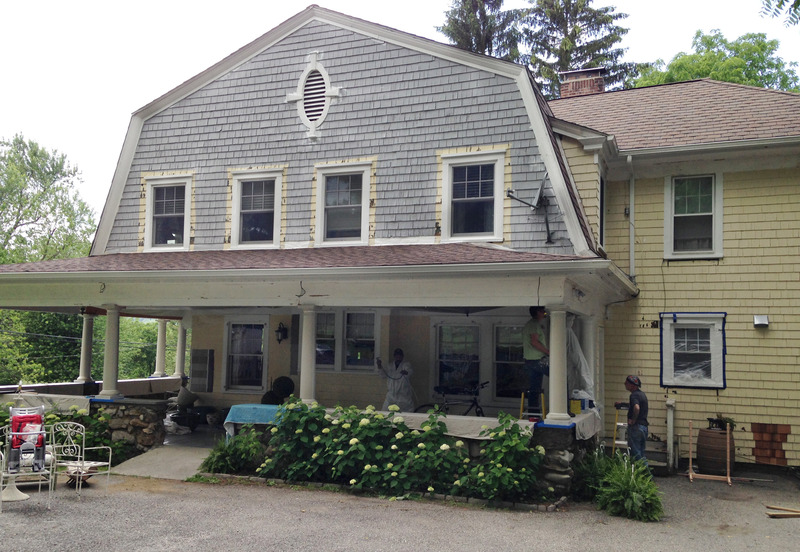 We are moving forward on the exterior paint job–gosh it’s a big job–and wanted to give you a gander of the work in progress here in Amenia. This post is categorized under the subhead, ” So You Want to Own a BnB.” Part II . I just felt it needed a certain regal facelift and with the big maple gone, the yellow was a bit bright. 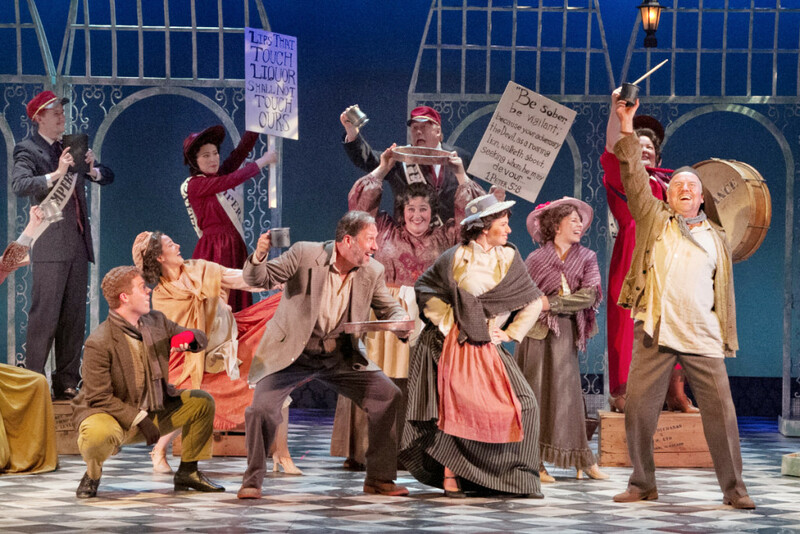 My Fair Lady, the Lerner and Loewe music with a new twist incorporating the original Pygmalion book and the subsequent movie opens at Sharon (CT) Playhouse. Sounds like a bit of what shaped “Mary Poppins” on Broadway–a dash of this and a spoonful of sugar. (No medicine required.) And it made of a very entertaining evening. Close by to Amenia’s HIlltop House, Lady runs thru July 5th. A friend of Hilltop House Bed and Breakfast, a private gardener over in Litchfield County, works for a family on their estate. It was Friday, and her day for weed-wacking the pond. 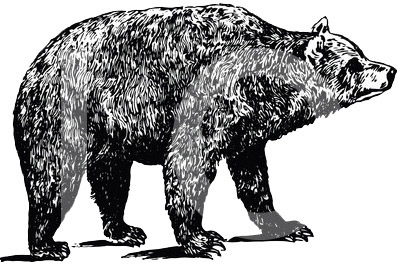 Now, in her several years of gardening there, she’d seen a number of singleton bears off in the treeline, or wandering the grounds; so when she spotted one last Friday, she didn’t think much of it and went about her early morning chores. Then out of the corner of her eye, another—a big male—joined the first mama bear, still, armed with her trusty heavy duty weed-wacker, our brave friend thought all would be fine. fuzzy duo began to circle the pond, or as our friend saw from her perspective—CIRCLE HER—she got a little more worried. Let it be said that our friend doesn’t carry a cell phone, she’s one of those who just won’t, and with the reception in the Litchfield Hills, who can blame her? She often totes a camera, but this day she didn’t, and after two complete circles –or should we say, being circled, she looked for that moment when she could inch herself over to the nearby vegetable garden, (somewhat) protected by a fence. Alas, Mama and Papa Bear moved their beary-go-round of the garden enclosure. “Great, now they can have meat and vegetables,” she said feeling a little less vulnerable, enough to find her sense of humor. There wasn’t a great deal of protection, but our friend had rationed her gas in the weed-wacker and felt a bit safer within the pickets.